The man occasionally known by the sobriquet The Dishevelled Detective and his colleague Dr. Hamish can be found at the forefront of the fight against crime and nefarious acts. They work from their rooms in London as consultants to private individuals, governments, royalty and the Metropolitan Police. Although their methods can be somewhat baffling to many, they simply use the latest techniques in criminal deduction coupled with an intensely focussed approach to problem solving. Upon numerous occasions, they have been called upon to use their prodigious combat skills and risk their very lives. 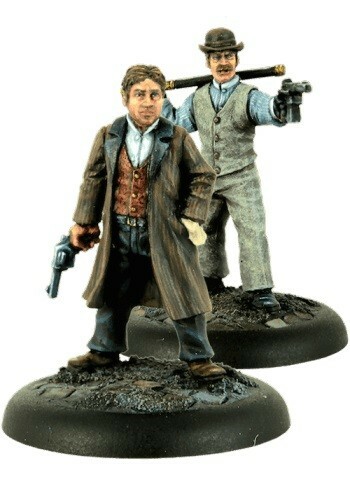 They are guardians of truth and justice within a Victorian-era London beset by violent criminality and devilish plots.